Condo with Golf Course Views in Captain's Walk Villas within the desirable Subdivision of Keowee Key! This condo features 2 bedrooms one in loft area. Spacious kitchen has bar seating and opens up to the combined living and dining spaces. Remodeled kitchen with stainless appliances, new cabinets with granite countertops. Living room opens to a 6x24 ft. that overlooks the Golf Course that is currently being upgraded to provide the best luxury amenities available on Lake Keowee. This condo is being sold furnished. Located in the amenity rich, gated community of Keowee Key, you can enjoy Clubhouse, Common Area, Fitness Facility, Playground, Pool, Sauna, Storage, Tennis, and Walking Trails just to name a few. 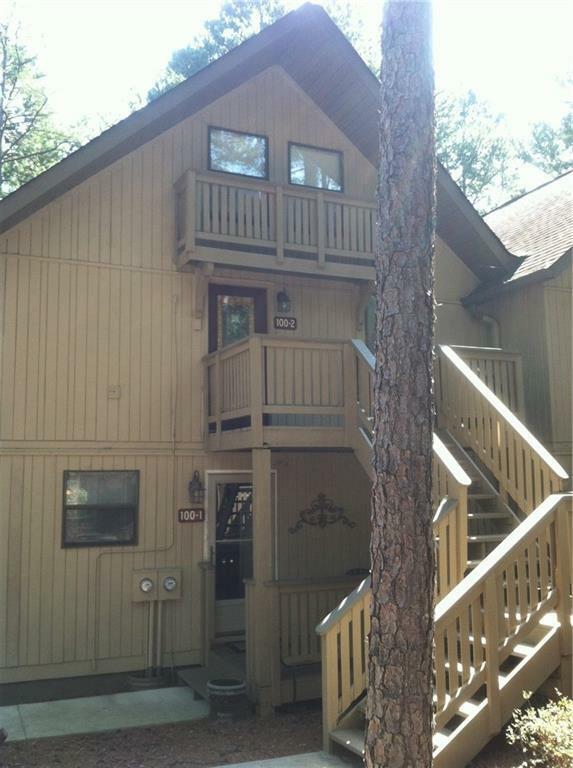 This well-maintained condo is turnkey and ready for you to come add your personal touches. At this price, it won't last long! Only 15 minutes to Seneca for shopping, dining and hospital and about 18 minutes to Clemson University.